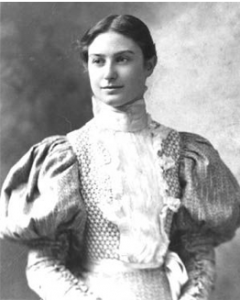 Gertrude Weil was a lifelong resident of Goldsboro, North Carolina from a prominent family. She never married. Weil was inspired by Jewish teachings of justice and compassion to work for progressive changes such as women’s suffrage, labor reform, and civil rights. Weil worked for women’s suffrage within her state by founding the League of Women Voters chapter and the Goldsboro Equal Suffrage Association in 1914. She was an officer in 1917 and in 1919 a president of the North Carolina Equal Suffrage League. 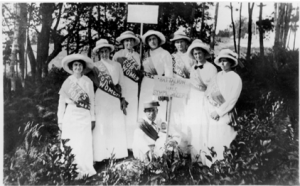 As president she assisted with efforts to get North Carolina to ratify the proposed 19th However, though her efforts failed to have the state adopt the amendment, her work laid the path for organizing women in politics once the amendment was passed by other states. Famous quote: “It is so obvious that to treat people equally is the right thing to do”. Weil campaigned for civil rights in North Carolina. and assisted with desegregating within her town. When African Americans were barred from the local swimming pool, Weil built a pool within an African American community. At a dedication ceremony she dived into the pool in an effort to desegregate. She founded he Goldsboro Bi-racial Council. Weil worked during the 1930s and 1940s to rescue Jewish refugees from the Holocaust and supported the creation of a Jewish state (Israel).